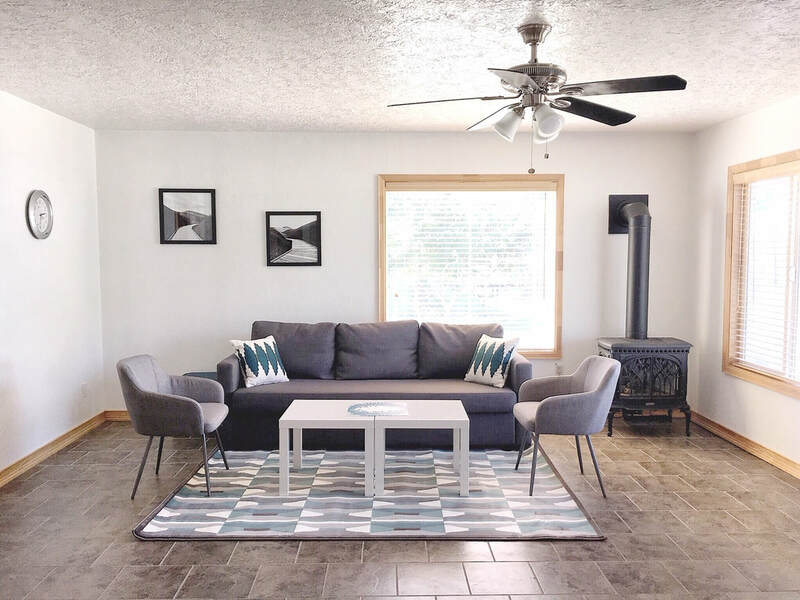 Our Painted Hills rental home in Mitchell, Oregon has an open floor plan and is spacious enough to easily accommodate up to six guests, making it the perfect alternative to a hotel. 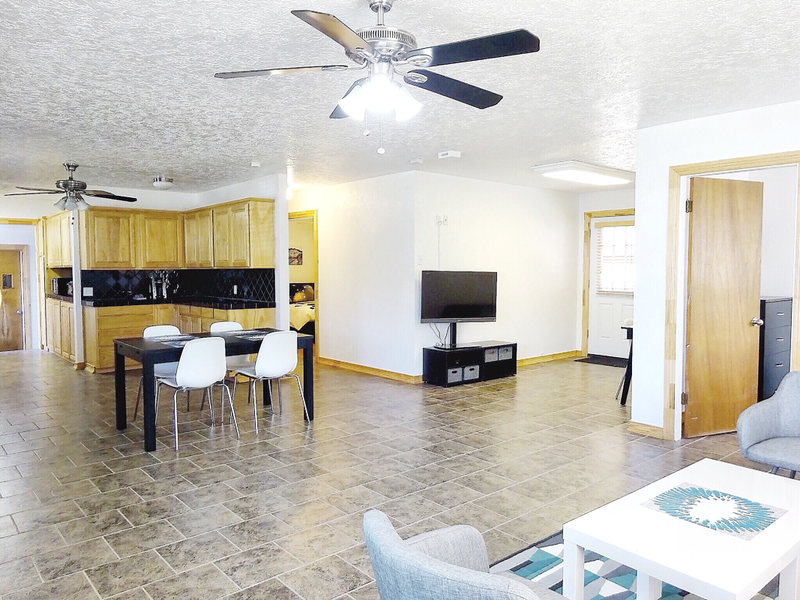 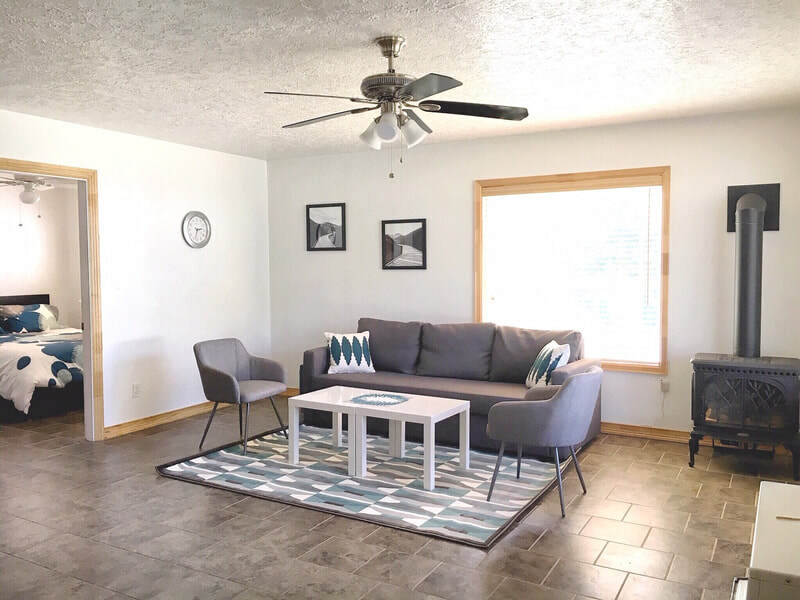 With two bedrooms and one bath, plus an additional sleeper sofa and a large, open back yard, our house provides lodging with plenty of room for everyone, including your pet! 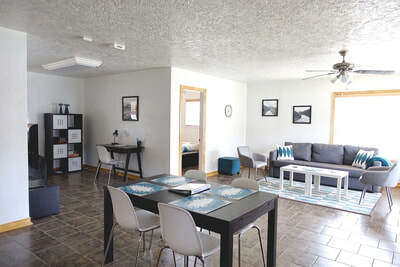 The living room has a Sleeper Sofa, two accent chairs and a desk and chair, along with a TV. 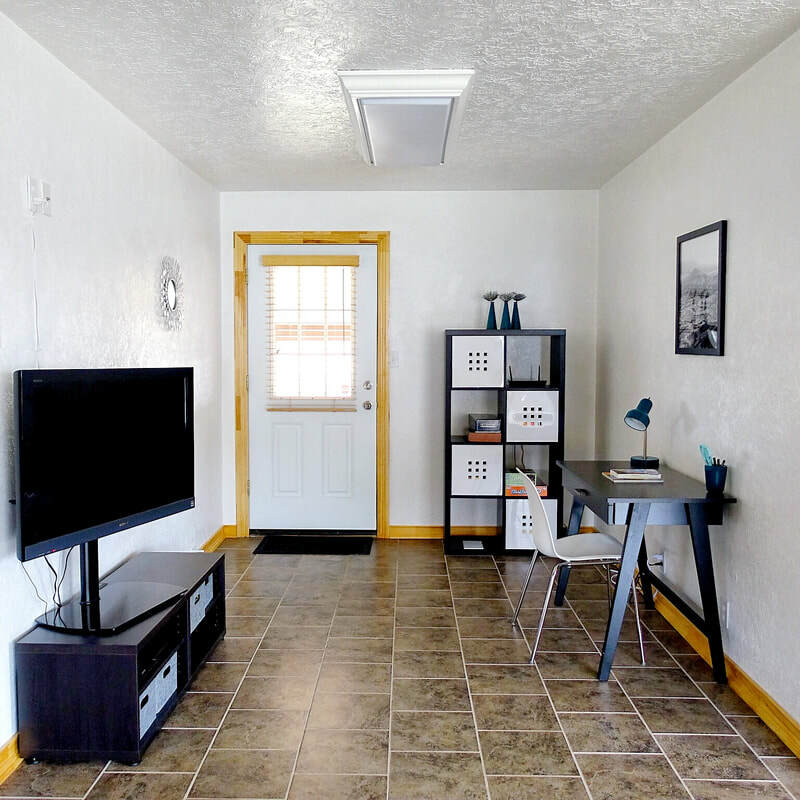 For entertainment, we provide a DVD player with a selection of movies, a Roku player that can be used with your personal Netflix, Hulu, Prime or other streaming accounts and free wifi. 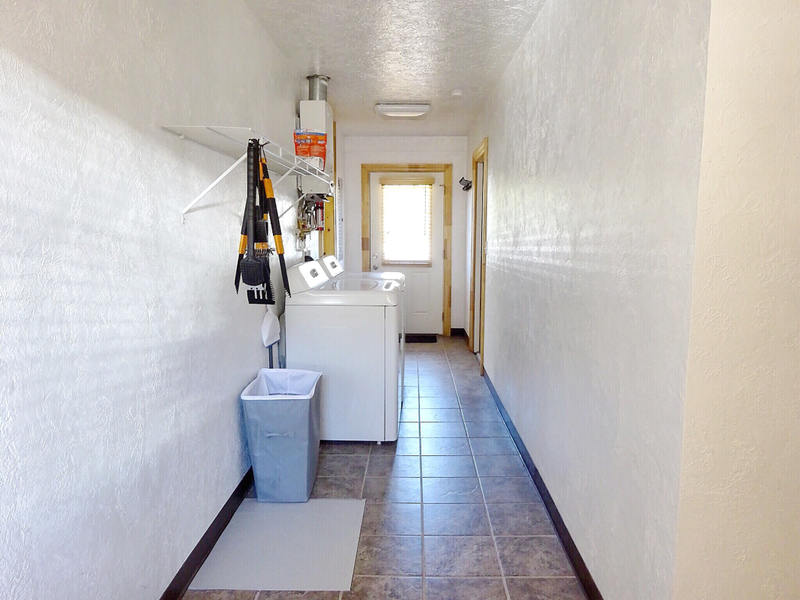 We also have a washer and dryer for use in the back hallway. 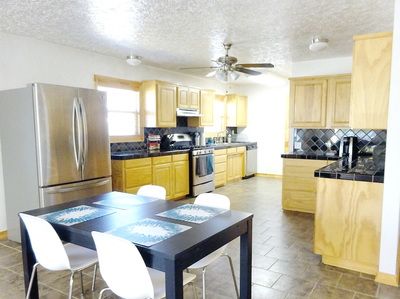 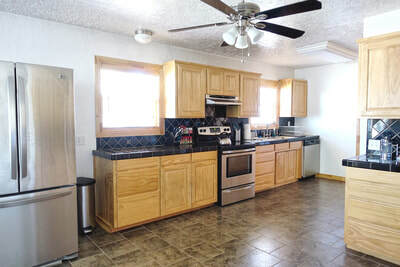 Our large kitchen has stainless steel appliances including a large refrigerator, dishwasher and electric stove. It is well stocked with dishware and cookware along with cooking staples such as spices and oil making it easy to cook all your favorite meals. 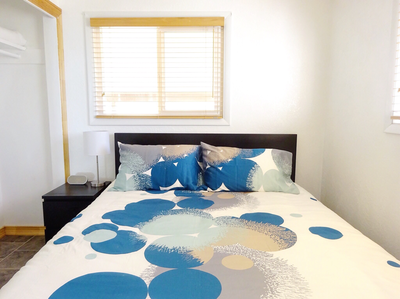 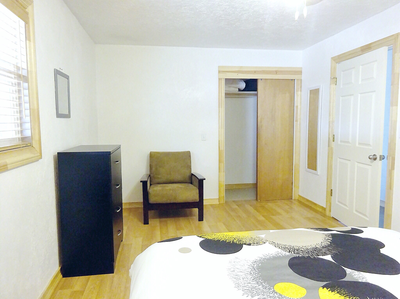 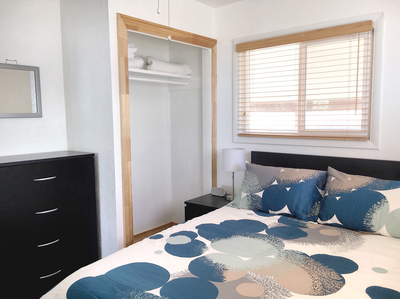 Our two bedrooms each have a new queen sized memory foam mattress with soft and comfortable sheets. One of the bedrooms is roomy with additional seating and a large closet, while the other is fairly small, but easily fits two guests and their belongings. 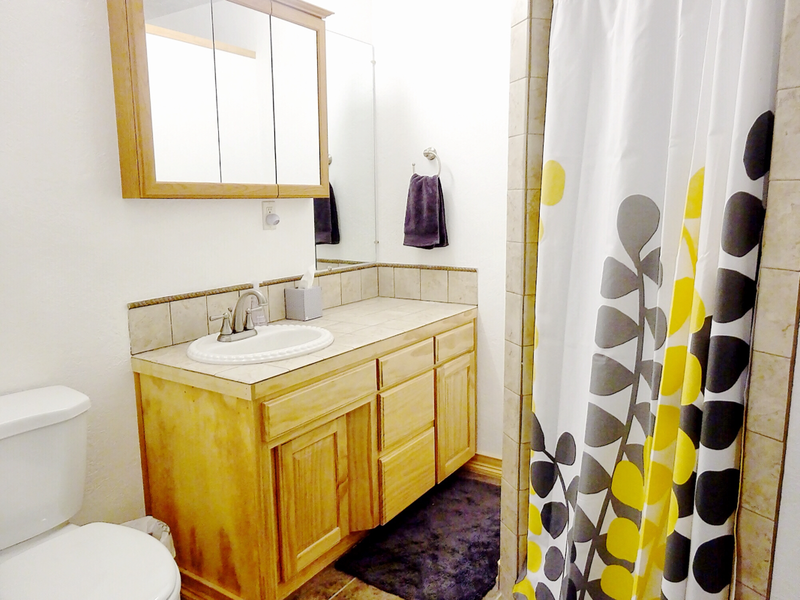 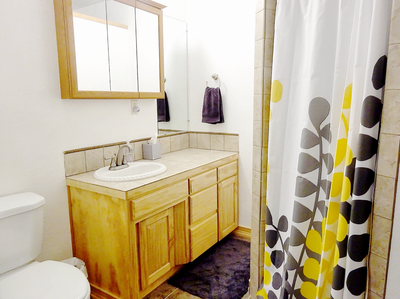 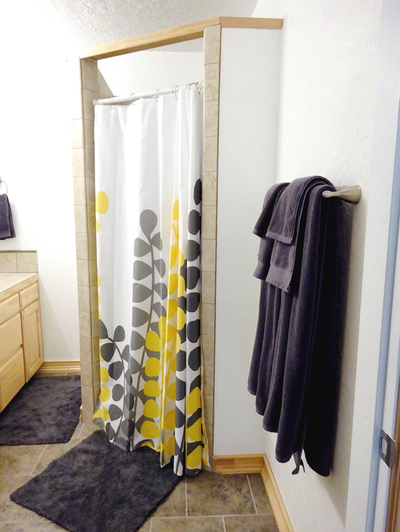 We have one bathroom with a shower and provide plenty of large and comfortable towels and toiletries for use. 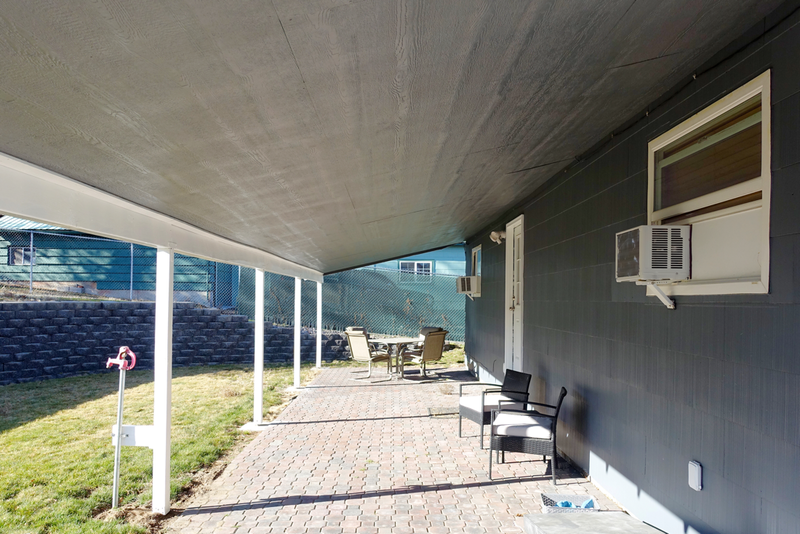 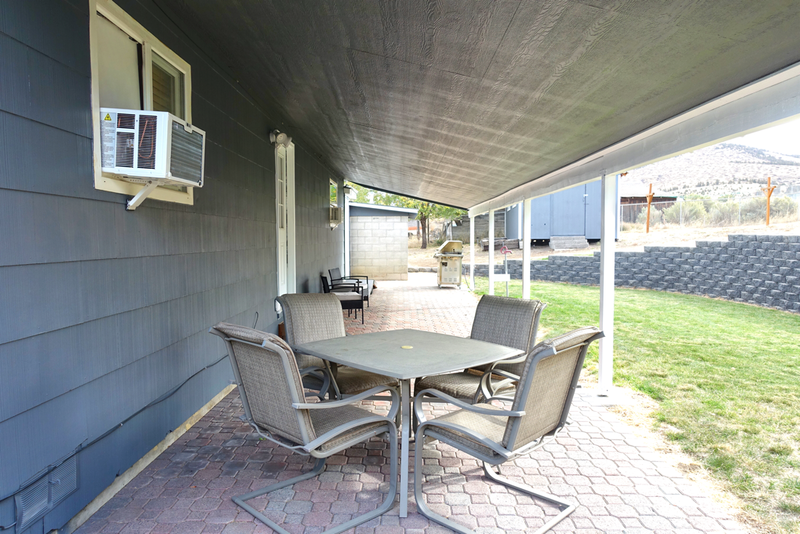 We have a large back yard with a relaxing covered patio with open views and outdoor seating for 6. 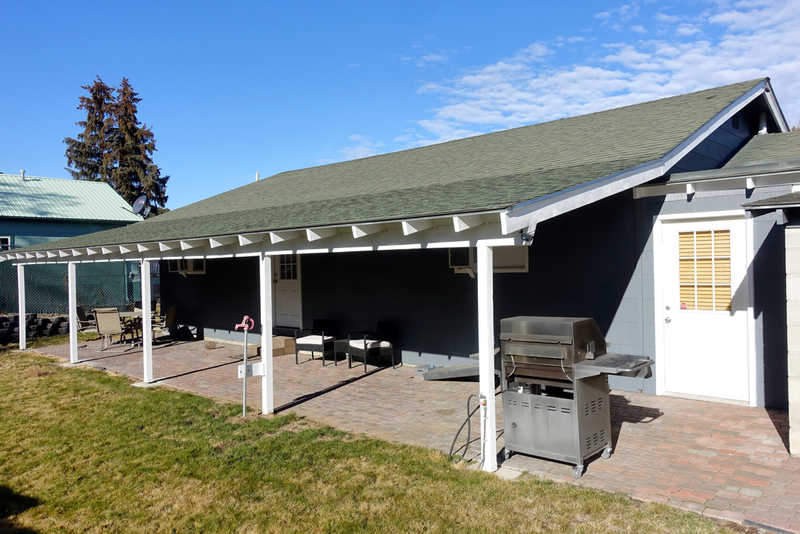 We have a propane grill available for use (with complimentary propane provided) and a croquet and corn hole set for entertainment. 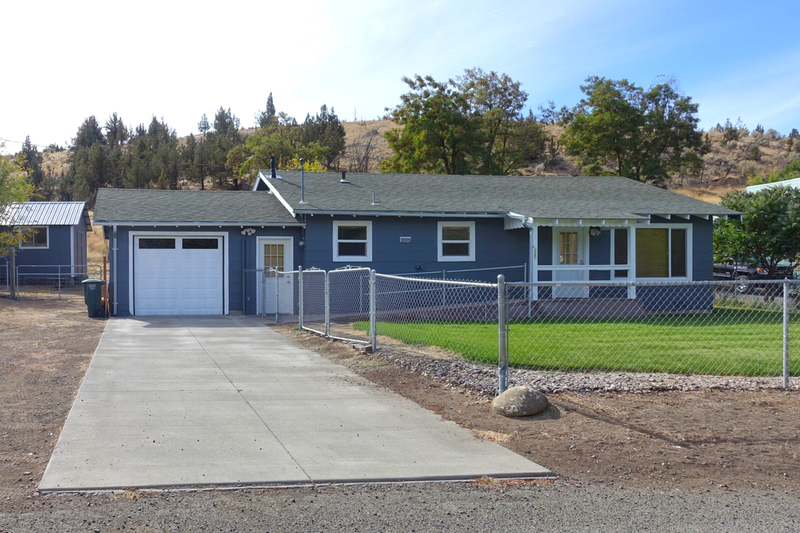 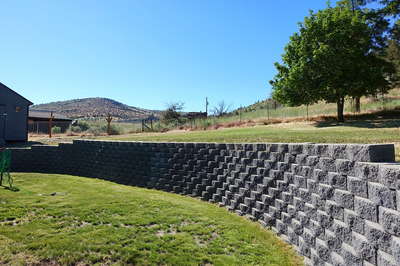 Our house is located in Mitchell, Oregon, the gateway to the Painted Hills of Oregon. 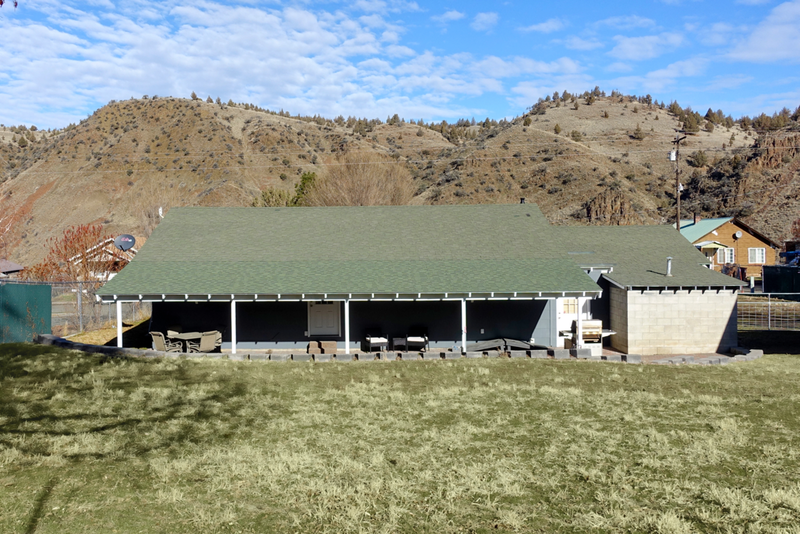 Mitchell is a small town with a brewery, several restaurants, and a market and is very centrally located to explore all that the John Day Fossil Beds have to offer! 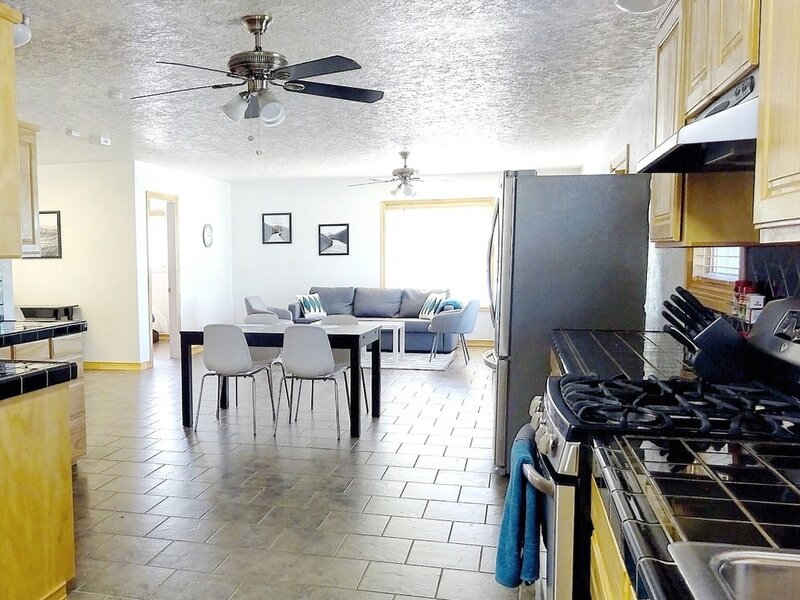 The house is available to book using the links below and is a great option for lodging when visiting the area.